This year, increasing numbers of families will turn to us for support. We provide all of our services free of charge, but only 20% of our total running costs are funded by the NHS – leaving us to raise the rest of our £4.2million costs each year. Without our volunteers’ gift of time, dedication and commitment, less money would be available to provide our free patient services. We would not exist without the wonderful support our volunteers provide. Each month, our volunteers give more than 5,750 hours of their time. That generosity saves more than £1million per year for the hospice, which means donations can be spent on providing care and support to hundreds of local people. 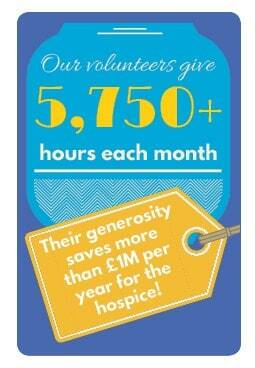 Whatever your skills, there’s a volunteering role for you at the hospice. We’re always looking for more volunteers to join our team. 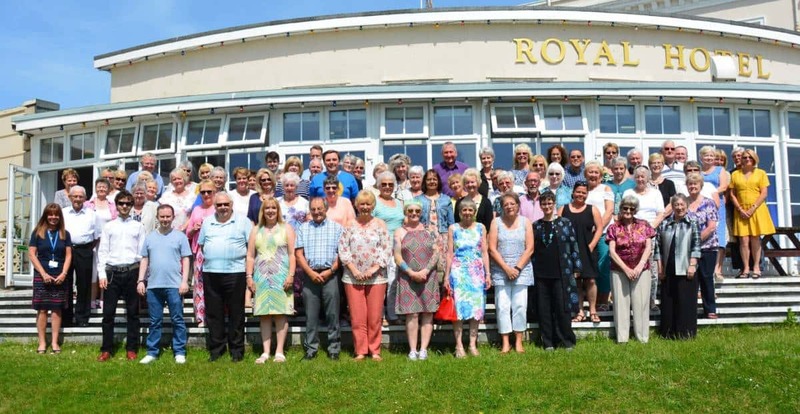 Whether you’re interested in volunteering as a group or as an individual, we have a wide range of volunteer roles available in both the hospice as well as our retail team (which includes our shops and warehouse). Even if you can only spare a few hours a week, you’re sure to find something to suit you! Even if you’re unable to commit to regular volunteering but would like to lend an occasional hand, that can be a big help too. We are always on the lookout for volunteers who can support our events or community fundraisers with just a few hours. If this sounds like something for you, please fill out and return this form. Our volunteer companions provide emotional support for patients and/or carers who may benefit from company. You will need to have your own transport, have good listening skills, be self-aware and flexible, with a good sense of humour. For further information, please pop into your local Weston Hospicecare shop, email us or call the volunteer team on 01934 423975.